ReChina Expo will be held on May 22-24,2019 in Shanghai! The expo has been held for 15 sessions in the past 15 years. The upcoming event is the 16th session of ReChina Expo. It's a key trade show for the industry of Printers and Copiers, Print Consumables; 3D Printers and Materials; Print technologies; Office Equipment and Supplies. Welcome to visit! Thanks to Sponsors at 2019 ReChina Expo ! ReChina Expo is held every year in Shanghai since 2004. The show will be 16 years old in 2019. As one of the most important events for the printers and consumables industry, ReChina Expo is well acknowledged by the industry insiders for its large scale, industry focus and internationalized features. ReChina Asia Expo will be held on May 22-24, 2019 in Shanghai World Expo Exhibition & Covention Center. The exhibition center is located in the central area of Shanghai in Pudong. It is about 25km from the Hongqiao International Airport and 40km from the Pudong International Airport. It is convenient to get there by taxi or Metro Line No. 7 and No. 8 (Yaohua Road Station, about 0.5km). ReChina Expo in one of the biggest trade shows in printers and consumables industry. Every year over 200 manufacturers and suppliers exhibit their new and competitive products at the show. Over 8000 attendees come to visit. As a well-known prominent brand, ReChina Expo is granted as "Shanghai Excellent International Trade Show" by SCEIA, Shanghai Convention and Exhibition Association. ReChina is also "the best international trade show" granted by Eastern China Convention and Exhibition Association. 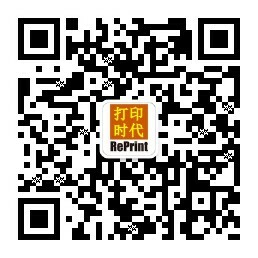 ReChina Expo is awarded as "Best International Expo" by NCN, the IT magazine, and by RePrint, the print industry magazine. Shanghai, with its population of 24 million, is the biggest and most developed city in China. Shanghai attracts millions of businessmen and travelers every year, delivering lots of opportunities and fun. Transit travelers from 53 countries can stay in Shanghai for 144 hours without visa, which makes it possible for visitors to come Shanghai for 6 days trade shows.